Greetings from the Banquet Committee. 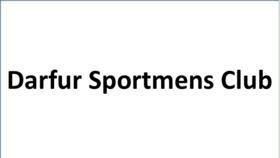 On March 18th, 2017, the Brown County Chapter of Pheasants Forever will be holding our 30th Annual Banquet at the Orchid Inn in Sleepy Eye. Attended by 400 or more people each year, our Banquet is our primary fundraising tool. 100% of these funds stay with the Brown County Chapter, to be invested by Brown County PF. Our banquet is wildly successful and has resulted in Pheasants Forever, Inc., investing nearly $3 million in Brown County since our founding 30 years ago. Of course, we owe the success of our organization to our donors, volunteers, and most importantly, members like you. We’d like to take this opportunity to briefly describe what your investment in our Chapter of Pheasants Forever means, and has meant, to Brown County. 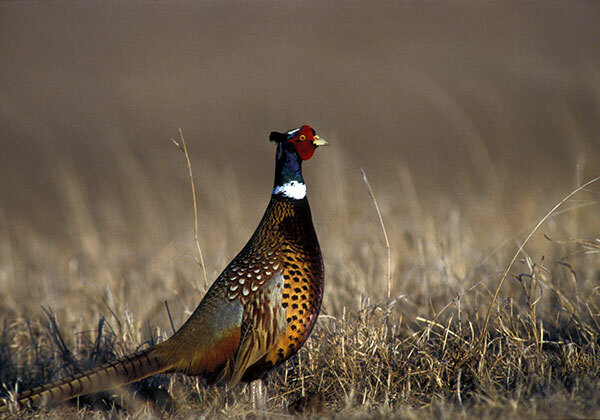 Although our name implies that a gaudy game bird is the primary benefactor of your membership, the benefits extend beyond our favorite game bird to other wildlife, soil and water conservation, and the quality of life in Brown County, too. 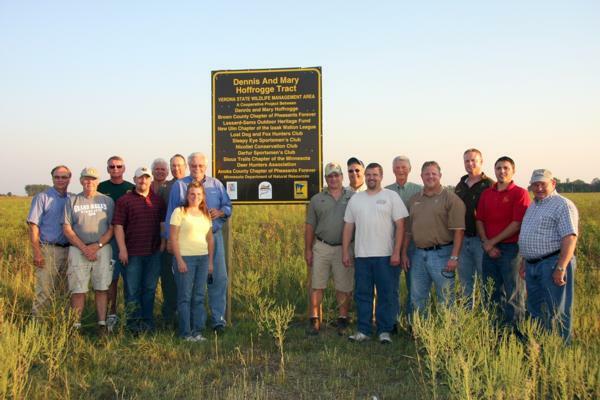 Brown County Pheasants Forever has contributed to the completion of about 300 habitat projects on over 3,000 acres in Brown County. These projects benefit not only pheasants, but all wildlife, and help reduce soil erosion and protect our waters. Although private projects are an integral part of our mission, our major focus has been on the acquisition of public land. Brown County Pheasants Forever has participated in the acquisition of over 2000 acres of land that all varieties of game and non-game wildlife call home, and which are now open to the public for multiple uses, particularly hunting, as part of the state Wildlife Management Areas (WMA) program. 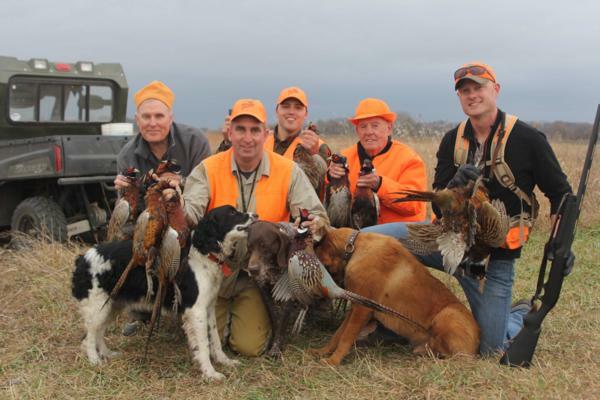 Brown County Pheasants Forever is in a unique position among conservation organizations. Through your membership and our relationship with Pheasants Forever, Inc., Brown County PF’s parent organization, your chapter has access to hundreds of thousands, if not millions of dollars for habitat acquisitions and restorations. 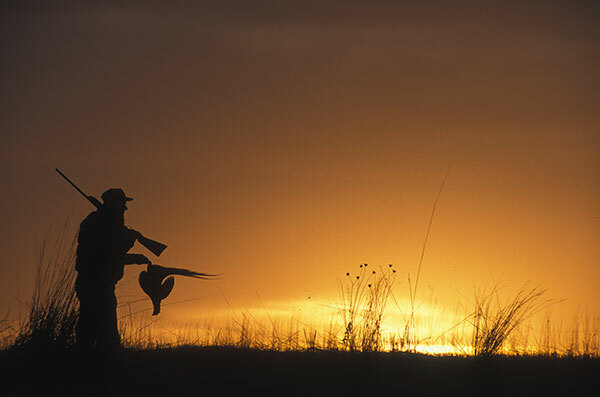 Pheasants Forever, Inc., has proven itself capable of delivering low cost, high quality conservation results and for that reason, is entrusted to administer millions of dollars of Outdoor Heritage Fund (dedicated sales tax), North American Wetland Conservation Act (NAWCA) and other grant funds each year. This is particularly important in times of high land prices and declining governmental conservation commitments. 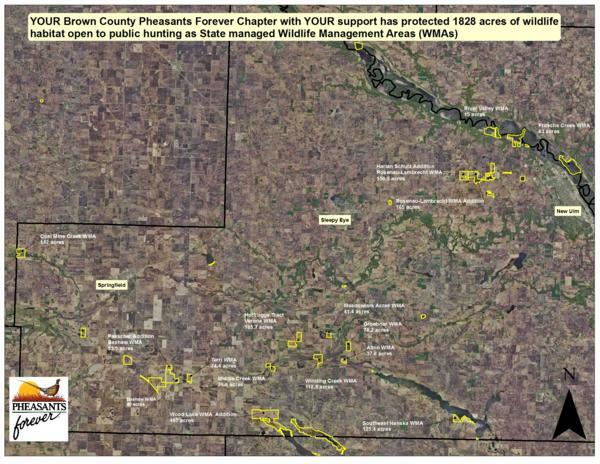 If Brown County Pheasants Forever identifies a project, Pheasants Forever, Inc., will likely find funding, as it did most recently with the acquisition of the Schultz addition to Rosenau-Lambrecht WMA. With your continued support, that $10 or $20 you spend on a raffle can by leveraged by Pheasants Forever to create $100 or $200 in grant funding for projects right here at home. Although no new properties were acquired or projects completed, we continue evaluate potential conservation projects. A number of potential projects have recently been brought to the chapter by the Regional Wildlife Manager that the chapter and PF national will evaluate. We continue to improve and expand our youth and hunter recruitment programs. In the past several years, we have supported youth outdoor programs countywide, and last fall held our tenth annual youth pheasant hunt and helped launch the New Ulm High School trap shooting team. We encourage winter food sources for wildlife. We have made regular contributions to the PF Legislative Action Fund to advocate for conservation funding. As you can see, your investment in Brown County Pheasants Forever has a large and lasting impact. If you’ve made it this far we hope you are pleased what you’ve accomplished as a member of Brown County Pheasants Forever. It is important to remember our goals and what we are really working for when we attend the banquet. We do our best to assure you a good time while at the same time raise money to accomplish these objectives. This year there will be guns and prizes valued at over $40,000 awarded. There is truly something for everyone. From the hunter to the fisherman to the camp cook, men, women, children and everyone in between, we really tried to put together a good variety of prizes. The food will again be bbq – Chicken and ribs catered by North Star BBQ. We hope to see you on March 18thth, 2017. Jeremy Berg - Berens, Rodenberg & O'Connor, Chtd. Brown County PF has donated many dollars through its members for public hunting. Check out some of the WMA locations at your disposal. We actively partner with other chapters and Minnesota organization of natural resources on many habitat projects. Our annual fundraising banquet, which is attended by more than 240 people, generates thousands of dollars. The banquet is held in early February each year. 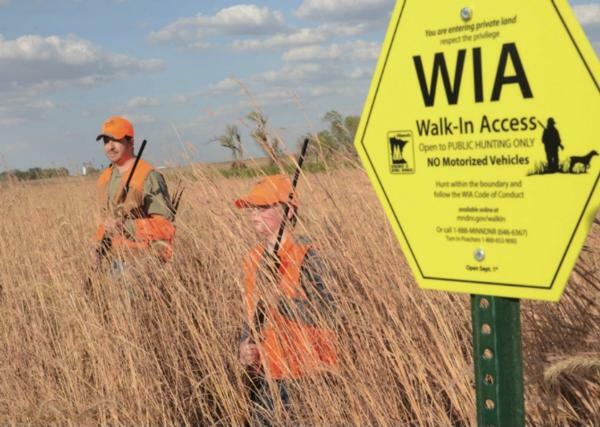 Brown County MN Walk-In-Access sites are open during any legal hunting season from Spetember 1 to May 31. See website for specific locations and maps. 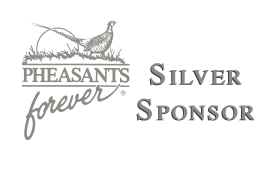 Please explore our website and discover more about the Brown County Pheasants Forever. You'll find detailed information on all our activities and upcoming events. Let us know what you think; we appreciate your feedback. If you are interested in becoming a member, please contact us. We welcome people interested in the Pheasants Forever mission to attend our monthly meetings, listed on our events page. We are actively seeking a PF Lady or two, three, etc... to help invest in more activities for women and girls in Brown County PF. If you would like to get involved and take part, please let a PF Board Member know.